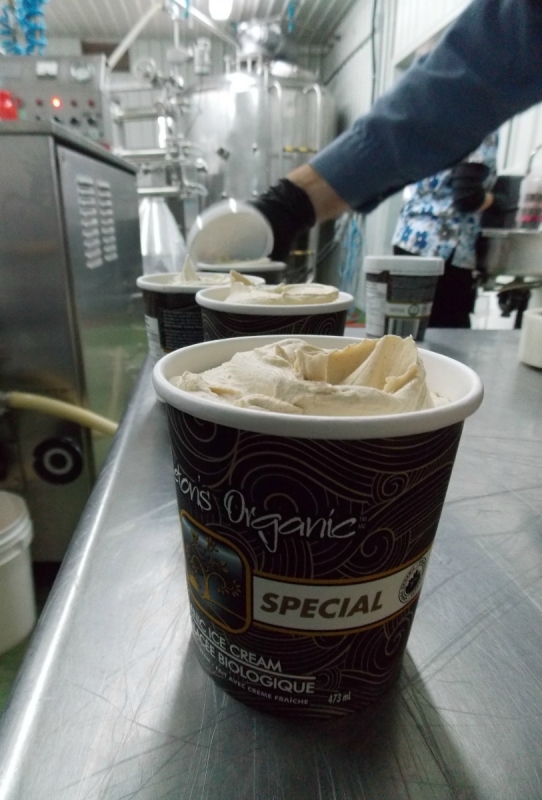 Every September / October we produce an ice cream perfect for the warm Autumn days and cooler nights. That's right, PUMPKIN ICE CREAM. 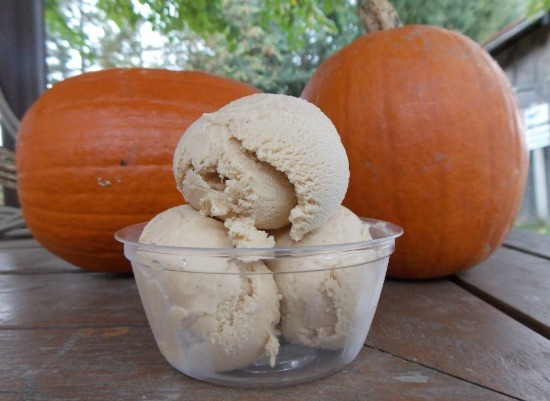 Pumpkin ice cream is always a favorite around the farm and as well as with our customers. There is a few things you may have not known about this flavor. 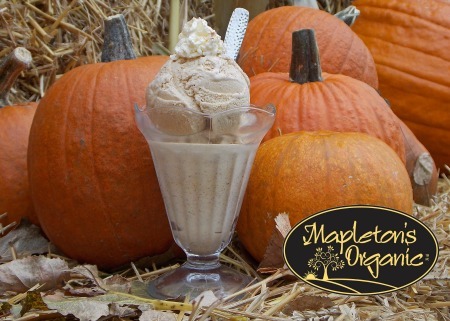 Our pumpkin ice cream is made from real pumpkins that are grown on our farm. 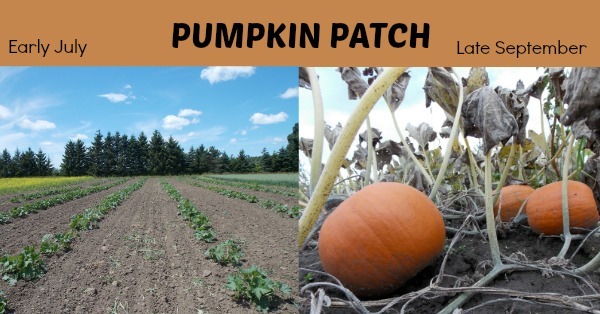 These pumpkins are certified organic by EcoCERT Canada. 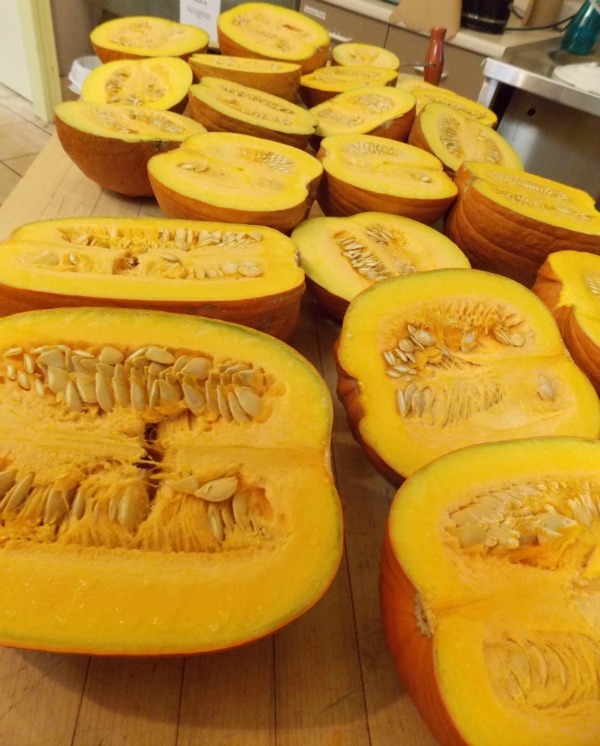 The pumpkins are baked here in the store and pureed by our staff. 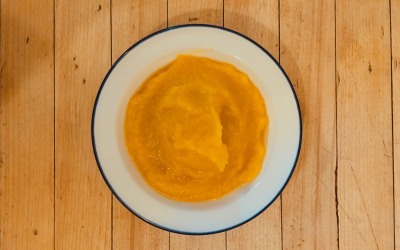 Our pumpkin ice cream is made with the same base as our other flavors. Cream, sugar, eggs and guar gum (stabilizer) make the base with the pumpkin and spices added as extras. What kind of spices? Basically the same spices as put into a pumpkin pie! 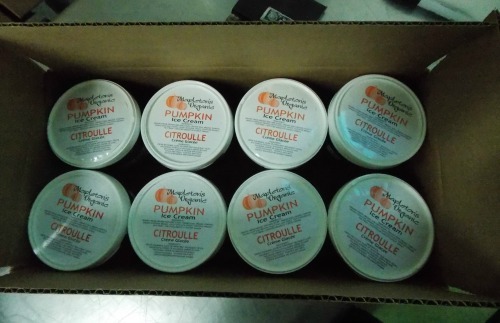 We get many comments that the ice cream tastes exactly like pumpkin pie, and this is why! Packing the ice cream is the same as any of our other flavors. 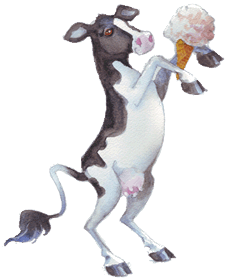 The ice cream is filled into 473ml cups, 2L, 5.7L or 11.4L tubs of ice cream. After the containers are filled, they are put into cases and stored in our deep freezer (-30 celsius) for a minimun of 24 hours before being ready for purchase. Finally, it is ready to eat! 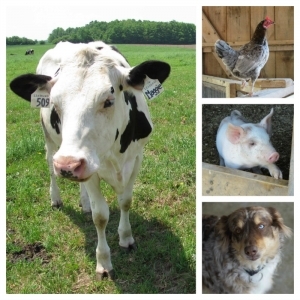 There are a lot of fall products available at the farm store as well as events happening! Store hours and directions available at our Contact page here.